Seven Seas Entertainment, 9781933164700, 216pp. Adriane and Stormbringer the Mistwolf have a unique bond. When Stormbringer is lured into the portal to Aldenmor, Adriane pursues her companion into the magical world, where she must confront the entire mistwolf pack in order to bring Storm home. The strange boy she meets in that land of wonders and terrors may help her, but Adriane will need Emily and Kara's magic as backup if she's going to survive this battle. 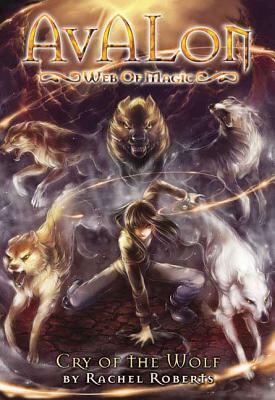 "Cry of the Wolf "is the third book in "Avalon: Web of Magic," a twelve-book fantasy series by Rachel Roberts for middle grade readers. Through their magical journey, the teenage heroines discover who they really are . . . and run into plenty of good guys, bad guys, and cute guys. Rachel Roberts is the author of Avalon: Web of Magic. She revised the entire 12-book series for this republication. She lives in Southern California.